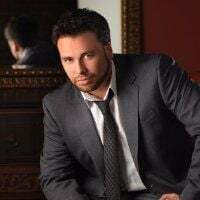 WHAT TO EXPECT: Marc Antonelli began his career in music at an early age and wound up studying at the Boston Conservatory and Berklee School of Music. As time went on, he began to develop his own singing style based around the music he loves: pop standards, Broadway, jazz and rock ’n’ roll. After starting in casino lounges, Antonelli graduated to a headlining a residency in Atlantic City in 2011. Antonelli reaches back generations for inspiration, yet manages to put on a show that’s fresh. Pop standards, jazz and rock n’ roll comprise the majority of the set which Antonelli delivers with both class and charm.